New Kid is a graphic novel about a boy of color entering a predominantly White private school. It's handled with sensitivity, intelligence, insight and humor and told with great accessibility. 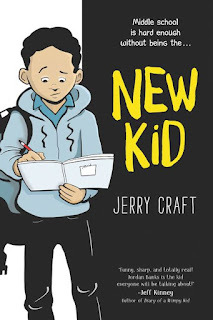 I spoke with Jerry Craft, the writer and artist of the book. You can have a look at the interview here.